If you are missing a tooth, you are probably exploring your replacement options. A lost tooth can be damaging cosmetically and to your overall oral health. Dental implants and dentures are two common strategies for dealing with a lost tooth but they are not your only options. There are a number of other alternatives to dental implants and dentures. Dental implants are attached to the jawbone and serve as artificial roots to hold prosthetic teeth in place. Implants are often used to replace missing teeth and can be a suitable solution in some instances. Price and bone health can be obstacles that may prevent implants from being the best choice for you. A single implant can cost thousands of dollars and your bone health must be healthy and sufficient in order to attach the implant. Dentures are most often used when a person has lost most or all of their natural teeth. 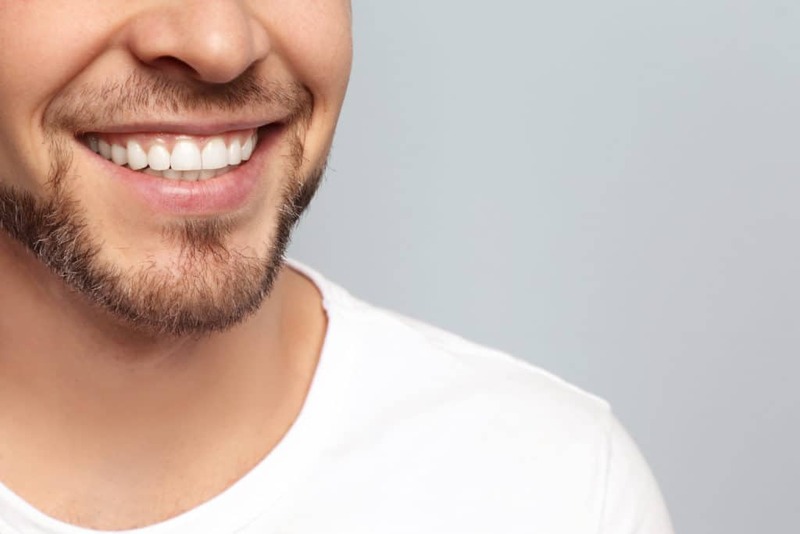 There are several types of dentures, including removable partial dentures and removable complete dentures, all of which can be inserted or removed to give the appearance and feel of natural teeth. Some dentures can also be made on a metal framework to adhere to your existing teeth. Dentures are a removable apparatus and do not attach to your bone the way that implants do. While dentures and implants can be great solutions to missing teeth, they are not the only available solutions. An alternative to dentures and dental implants is a dental bridge. A dental bridge may be a viable denture or implant alternative when dealing with lost or missing teeth. A bridge uses a prosthetic tooth and a crown on either side to anchor to adjoining teeth or implants. In this manner, the entire grouping of crowns and false teeth act as a bridge, holding the false teeth in place. The teeth that serve as anchors for the crowns are called abutment teeth, while the false tooth or teeth are called pontics. A dental bridge can be a great option as opposed to an implant, particularly if the tooth has been missing for a long period of time. When you lose a tooth, your gums and bone eventually recede. If your gums or bone are not substantial or healthy enough for an implant, a dental bridge may be a suitable alternative. They are also preferable to a temporary denture because they are a long term solution. Dental bridges, when paired with excellent oral hygiene can last approximately five to fifteen years. The final option is simply leaving the missing tooth as it is. While this will impact the appearance of your face and eventually your bone, it is also an alternative choice available to you. This is not an ideal choice and we strongly recommend that you should consult with our dental professionals before deciding to take this route. The loss of a natural tooth or teeth can be traumatic, not only for vanity’s sake but for your overall oral health. While there are many options available, every individual’s situation is unique. There are several factors that go into selecting the best option for you including your existing teeth, the strength of your bone, the overall health of your teeth and gums and your budget and long term goals. It is important to discuss your options with an experienced dentist and choose what makes the best sense for you. If you need help understanding and selecting the best solution for you, we are here to help. Our team of professionals will listen to your concerns and goals, assess your current oral health and work with your budget to find the best option for you. Contact us today! ← Dental Bridge vs Dental Implants – Which is Right For You?